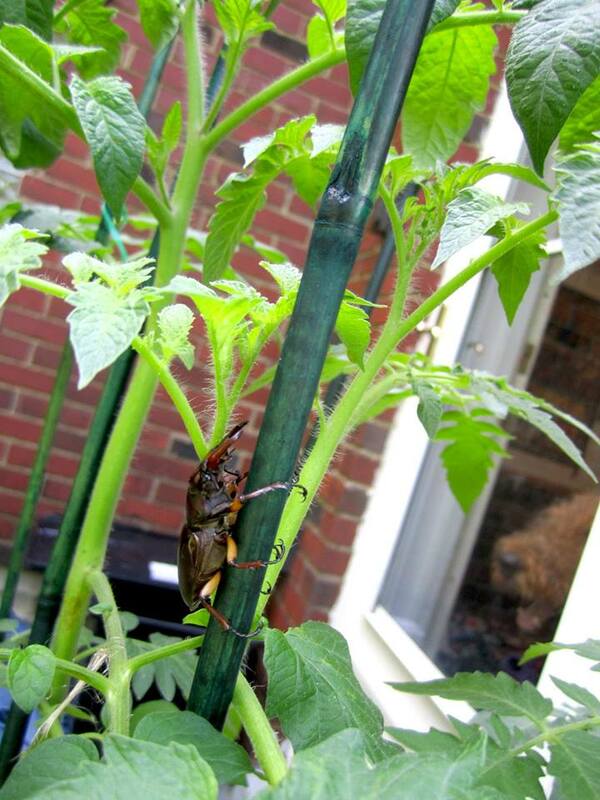 This rather large insect showed up in the containers-of-cherry-tomatoes-on-our-stoop farm. Slowly he just climbed the bamboo that mum is using to keep the tomatoes upright. She went outside to take a photo and watch, I stayed safely inside to “supervise”. Probably for the best. If I wasn’t scared of him then I would probably have tried to eat him. Neither would have ended well.